IRS Reveals Voluntary Tax Preparer Certification – What’s Next Voluntary Medical Licenses? " Home / Blog / IRS Reveals Voluntary Tax Preparer Certification – What’s Next Voluntary Medical Licenses? On Thursday, the IRS announced that it would soon introduce a voluntary program for Tax Preparer Certification called the Annual Filing Season Program (IR-2014-75). This program will permit return preparers to obtain a record of completion when they voluntarily complete 18 hours of continuing education, including a six-hour refresher course for tax season, 10 hours of federal tax law topics, and two hours of ethics. All participants will also be required to consent to comply with the duties and requirements of Circular 230, Regulations Governing Practice Before the Internal Revenue Service (31 C.F.R. Part 10). The program will be in place for the 2015 filing season, but it will have a phased-in requirement of 11 hours of continuing education that must be completed in 2014. Tax Preparer who elect to participate will be listed in a directory on the IRS website beginning in January 2015. The database will also include practitioners with recognized credentials and higher qualifications, such as enrolled agents, attorneys, CPAs, enrolled retirement plan agents, and enrolled actuaries. The directory will not include tax preparers with preparer tax identification numbers who are not members of any of the above-listed groups of preparers. In announcing the program, the IRS referred to its unsuccessful effort to regulate tax return preparers, which was overturned by the federal courts in Loving, No. 13-5061 (D.C. Cir. 2/11/14), earlier this year. Before that decision, over 62,000 return preparers had passed the return preparer’s test, and the new program will exempt those preparers and other preparers who have passed recognized national and state tests from having to take the refresher portion of the voluntary course. The IRS stated that this program is an interim step to help taxpayers and encourage return preparers to pursue tax education. The Service said it will reassess the efficacy of the program in the future. No statute authorizes such a program, and because federal agencies may act only pursuant to a valid delegation of authority by Congress, the IRS may not implement the proposed program. The program will be viewed as a way to circumvent the federal court’s Loving decision. 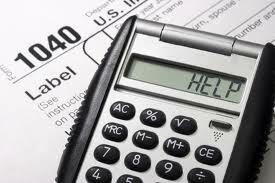 The way the IRS has developed the proposed Tax Preparer program does not comply with the notice and comment requirements of the Administrative Procedure Act, since the program will be “de facto mandatory”; it violates the Paperwork Reduction Act, since the IRS has not sought approval from the Office of Management and Budget before collecting personal information from tax return preparers; and it probably will require the IRS to perform a cost/benefit analysis of the program and alternatives and get approval from the Office of Information and Regulatory Affairs, since the program is likely to be considered a “significant regulatory action” that must comply with Executive Order 12,866. The proposed program is “arbitrary and capricious because it fails to address the problems presented by unethical Tax Preparer who defraud their clients, runs counter to evidence presented to the IRS, and will create market confusion. The program as “unlawful and improper.